Nearly 150 women and men answered Wisdom’s call in a multitude of ways June 17-20 at Scripps College in Claremont, California, at the 30th anniversary conference of the Evangelical & Ecumenical Women’s Caucus. Old friends renewed their bonds, people for whom we had prayed over the past years joined us, and a critical mass of women under thirty — the third wave of EEWC — shared their insights and grew in wisdom alongside founding mothers. Wisdom spoke to and opened our minds as well as our hearts at the conference. 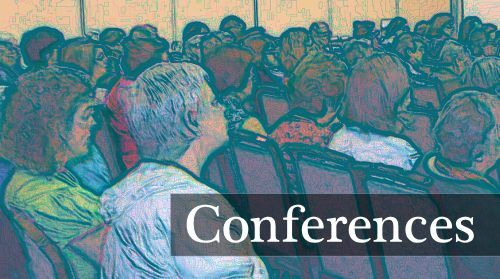 In addition to the seven Paths from which participants could choose for small-group work, the conference featured plenary addresses by numerous sisters gifted with God’s wisdom. Old Testament scholar Phyllis Trible opened the conference with a Thursday evening plenary analysis of texts about Wisdom in Job 28 and Proverbs 1, 8, and 9, while theologian Rosemary Radford Ruether, the Friday evening plenary speaker, helped listeners understand the call of God’s people in an age of oppressive globalization. Two EEWC foremothers, Virginia Ramey Mollenkott and Nancy A. Hardesty, shared, respectively, knowledge of the inner guiding of Woman Wisdom and her hand in leading EEWC over the past 30 years. Panels of wise women also shared their experience and insights with conference participants at several plenary gatherings. Listeners were introduced to Jewish and Muslim personae of Wisdom by Dvora Weisberg of Hebrew Union College-Jewish Institute of Religion in Los Angeles, Bridget Blomfield, a doctoral candidate in Women’s Studies and Religion at Claremont Graduate University, and Riffat Hassan, Islamic feminist theologian from the University of Louisville. A panel of women who live the struggle against injustice in its many forms shared the wisdom of their experiences on Saturday morning. Joyce Ride chairs the Los Angeles area board of Friends Outside, an organization for visiting persons in prison. One of the prisoners she visited and helped was Gloria Killian, who was released from prison in 2002 after serving more than 16 years of a sentence for a crime she did not commit. Gloria now directs a non-profit organization that advocates for humane treatment of women inmates. Pamela Brubaker and Erica Juhn are activists for the rights of workers in the so-called sweatshop industry. Kathleen Schinhofen, C.S.J., has long experience in conflict management and transition mentoring. On Saturday evening, three representatives of Third Wave Christian Feminism shared their calls to ministry and the struggles they face. E. Joscelyn “Josie” Asencio and Raewyn Hawkins, undergraduates at La Sierra University, shared their experiences as lay preachers in an African country. Sarah Oesch, an M.Div. candidate at Fuller Seminary, told of her struggles attempting to fulfill her calling in her denomination. You’ll be able to read more about these women in a future issue of EEWC Update. Foremothers and -fathers were also recognized on Saturday night, notably biblical scholar David M. Scholer, philanthropist Margo Goldsmith, and authors Letha Dawson Scanzoni and Nancy A. Hardesty, celebrating the 30th anniversary of the publication of their groundbreaking book All We’re Meant to Be. A highlight, as well as the culmination, of the conference was the Sunday worship service, led by liturgist the Rev. Elizabeth Nordquist, associate professor of spirituality at San Francisco Theological Seminary, with the ministry of God’s Word led by the Rev. Barbara J. Essex, minister/coordinator of community life at Pacific School of Religion, and ministries of music and liturgical dance presented by groups of EEWC members led by Margaret Meier and Lindsey Huddleston. Colleen Fulmer led congregational singing. Singer Margaret Arighi and flutist Ellen Arthur Eggebroten performed a composition by Margaret Meier, with a visual interpretation by dancer Lindsey Huddleston. Whether those present at this EEWC conference had been attending for 30 years or if this was their first taste of the EEWC community, all heard and answered Wisdom’s call at the gates and set out upon the crossroads, refreshed and renewed. 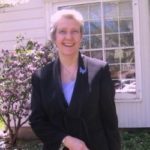 Linda Bieze, an EEWC coordinator emerita, is a writer and editor living in Grand Rapids, MI. Singer/songrwriter empowering women to find their voices. Doctor of Ministry candidate in Creation Spirituality. Her six CDs are available at www.lindasongs.com. Feminist, poet, singer, composer who has for more than 25 years gathered women to sing their experience for the transformation of the world. Her CDs are available through her website. Conference song leader, earned a Master of Theological Studies, with a concentration in worship and the arts, from the Graduate Theological Union (GTU) in Berkeley, CA. She has produced three recordings emphasizing social justice, peace, the empowerment of women, feminine imagery for God, reverence for all creation, and comfort, challenge, and depth in spiritual experience. Professor of biblical studies at Wake Forest University Divinity School, Winston-Salem, NC. Author of God and the Rhetoric of Sexuality and Texts of Terror: Literary-Feminist Readings of Biblical Narratives. Carpenter professor of feminist theology at Pacific School of Religion, Berkeley, CA. Author of numerous books, including Sexism and God-Talk. Author of 13 books, including The Divine Feminine: The Biblical Imagery of God as Female. Coauthor with Letha Dawson Scanzoni of Is the Homosexual My Neighbor? A Positive Christian Response. Professor of religion at Clemson University, Clemson, SC. Author of Inclusive Language in the Church and coauthor with Letha Dawson Scanzoni of All We’re Meant to Be: Biblical Feminism for Today. Minister/ coordinator of community life, Pacific School of Religion, Berkeley, CA. Author of Bad Girls of the Bible. She will be preaching at the closing worship service. Author of Bold Spirit: Helga Estby’s Forgotten Walk Across America, the true story of a Christian woman who walked from Spokane, Washington, to New York City in 1896, hoping to earn prize money to save the family farm. Author Linda Lawrence Hunt, who taught English at Whitworth College in Spokane for 20 years, now directs the Krista Foundation for Global Citizenship with her spouse, Jim. Linda will be joined by Pat Stien, a theater professor emeritus at Whitworth, in a dramatic presentation of her book. Riffat Hassan, a pioneer of feminist theology in the Islamic tradition, is a professor at the University of Louisville in Kentucky and travels around the world speaking on women in Islam and engaging in trialogues composed of Christians, Jews, and Muslims. Dvora Weisberg is Assistant Professor of Rabbinics at the Hebrew Union College-Jewish Instittue of Religion in Los Angeles. She has done extensive scholarly research and publishing on gender issues in rabbinic texts. Three scholars of Jewish and Islamic scriptures presented papers at a plenary session on Friday morning entitled, “Wisdom/Hokhmah, Torah, and Fatimah.” They helped conference attendees understand that Wisdom appears in many different personae in these faiths, as well as in the Christian faith. While the “Lady Wisdom,” or hokhmah, of Proverbs 8, who was the focus of much of the EEWC conference, joined the scriptural canon during the Second Temple Period of Judaism (515 BCE to 70 CE), Weisberg chose to focus on the representation of wisdom as Torah, which grew during the Rabbinic Period (70 to 600 CE). The rabbis elevated study of Torah to the level of a religious ritual, or mitzvah, worthy for its own sake and the highest calling to which a man, and only a man, could aspire. She illustrated this with the story of Hillel, who sacrificed half his earnings to attend Torah school and so longed to hear the rabbis teach that he nearly froze to death on a snowy roof, trying to listen through a skylight. Weisberg described three ways women were regarded in the world of the rabbis. Women were both smart and a bit scary. For example, rabbinical commentary on 1 Samuel 1:11, the story of Hannah’s prayer to God for a child, claims that the text shows Hannah uses her knowledge of Torah to threaten God, as it were, with embarrassment if God does not give her a child — she will, in essence, establish a fertility ritual to get her child. Her manipulation of the law to work in her favor “scares men to death,” said Weisberg. Women were to make great personal sacrifices to support their husbands’ study of Torah. Weisberg related two Talmud stories of husbands who abandoned their wives and children for dozens of years, with their wives’ consent and encouragement, to pursue their studies. Weisberg posited that during the Rabbinic Period women did have their own wisdom circles, which the rabbis would have called “witchcraft,” but these are not recorded in the scriptures of Judaism, which were compiled by men. It has only been in the past 30 years that Jewish women have been able to “gain rigorous training” in Jewish texts, often studying them with a feminist interpretation. But why should women study these ancient, androcentric texts? Weisberg offered three reasons: first, to reclaim them in order to create an “engendered” contemporary Judaism; second, to make these texts informative for future generations of women and men; and third, to increase women’s authority in the Jewish community, for authority is gained only through textual study. Fatimah is especially revered among the Shi’ah, who make up about 15 percent of all Muslims. According to the Shi’ah, Fatimah existed before her own birth as a form of light, and she represents an endless cycle of creation and dying. She is found in the wisdom of the human heart. Fatimah was born to the Prophet Muhammad and his wife Khadijah. Muhammad was overjoyed when the angel Gabriel told him his child would be a girl. Mary the mother of Jesus was one of the midwives who attended the child’s birth. Fatimah married Muhammad’s cousin Ali and had five children. The Shi’ah believe that she transmits the light of the Prophet. Blomfield argued that, because of the direct lineage of Fatimah from Muhammad, Islam can be considered a matriarchal faith. One story that exemplifies Fatimah’s behavior tells how she gave her own beautiful wedding dress to a poor bride who had no wedding dress. In doing so, said Blomfield, Fatimah “wraps women in the fabric of love.” We can do this also when we reach out to someone who has less than we do. Fatimah has many attributes. She is an intercessor between the physical and spiritual worlds. She is pure and virginal but also sensual. She is a “redemptrix” for those who suffer and weep. She represents suffering, compassion, faith, hope, redemption, and love. According to Blomfield, “The heart of wisdom is the deep, internal knowing that springs out in the tears of life. . . . When we come together as women in suffering, a compassion rests under our suffering and Fatimah is present.” Shi’ite women observe this through an annual grieving ritual, an opportunity to bond together in sorrow. Wisdom, Blomfield maintained, is within each of us. It is not acquired, like knowledge. When we take a breath and sense Fatimah within us, we experience wisdom. Men, as well as women, can have the feminine wisdom of Fatimah. She is like a doorway to an empty space. Through prayer, we fill our empty spaces with the light of wisdom that enters us through this doorway. Riffat Hassan, who teaches at the University of Louisville in Kentucky, is a Muslim feminist theologian who was born in Pakistan. Her paper on “Women in Normative Islam vs. Muslim Practice” explained why study of the Qur’an from a non-patriarchal perspective is essential to activism for changes in the treatment of women in Muslim societies. Hassan opened by acknowledging that Islam was developed in patriarchal cultures that forbade women to study sacred texts for centuries. Islam recognizes five sacred texts, the most authoritative of which is the Qur’an. The next-most authoritative, the Hadiths, record the sayings of the Prophet Muhammad. The Hadiths and the remaining three sacred texts, however, cannot contradict the Qur’an, she explained. In 1974, Hassan began a systematic study of the Qur’an passages that deal with women, trying to interpret them from a non-patriarchal perspective. She “discovered that the Qur’an is not only egalitarian but is weighted in favor of women” and other oppressed groups. Alongside her theological studies, Hassan became and remains an activist for putting equality into practice. God’s primary creation, Adam, was male, while woman, who was created from man, is secondary. Despite her secondary status, woman was primary in guilt. Men are fundamental, while women, created to help men, are instrumental. These assumptions, she suggested, grew out of the second creation account in Genesis, what she calls “the rib story” of the creation of Eve. Unlike the Hebrew scriptures, the Qur’an has 30 creation passages, which use three generic terms for human beings. The term “adam,” which is used 25 times in the Qur’an, refers specifically to humans as vice-regents of God; 21 of these occurrences refer to humanity as a whole, while the other four refer to specific prophets. So the Qur’an is more egalitarian than the Hebrew scriptures in treating the creation of human beings, Hassan noted. In her teaching, however, Hassan found that most Muslim students believe “the rib story” to be the true account of human creation. However, this story does not appear in the Qur’an but only in the Hadiths, which are considered true only when they do not contradict the Qur’an. The Hadiths, in fact, suggest that woman was created from a crooked, disembodied, 13th, left rib! This discovery raised one of the driving questions of her study: Why are Qur’an passages subverted in practice by the Hadiths? Following her main remarks, Hassan spoke briefly about the Muslim understanding of wisdom, or Al-Hikmah. The Qur’an refers to God giving the prophets the Book and the Wisdom, which indicates that they are not the same thing, as scripture and wisdom often are understood in the Jewish and Christian faiths. Wisdom, she explained, is a gift of God that enables people to understand the Book in a holistic sense of both comprehending and living the teachings of the Qur’an. God grants wisdom to anyone willing to receive it, to live it out in the world, and to become a prophetic figure. After hearing these scholars of Judaism and Islam explain some of the many faces of Wisdom, conference participants could not help but feel encouraged to be “doers of the word, and not merely hearers” (James 1:22). These women from other scriptural faiths are not discarding their sacred texts but finding equality within them. In the same way, EEWC has a unique role in searching and interpreting scriptures within the Christian faith, rather than jettisoning the Bible as hopelessly patriarchal, as some feminists have done.